This week, CDC employees published an article about five patients who had “adverse effects” after undergoing “unproven” treatments for Lyme disease. What they failed to disclose, however, is that their report was based on questionable research conducted by the CDC–research that formed the basis of an ethics complaint filed against the agency by LymeDisease.org in 2014. The Post article shills for one side of a contentious issue without even asking the other side for comment. And people with Lyme disease, along with their doctors and advocates, are the ones who will suffer mightily from it. 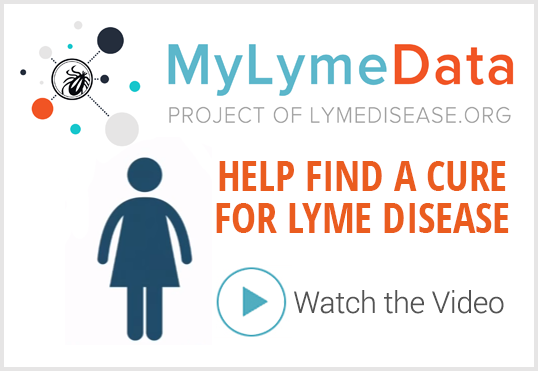 These cases highlight the severity and scope of adverse effects that can be caused by the use of unproven treatments for chronic Lyme disease. In addition to the dangers associated with inappropriate antibiotic use, such as selection of antibiotic-resistant bacteria, these treatments can lead to injuries related to unnecessary procedures, bacteremia and resulting metastatic infection, venous thromboses, and missed opportunities to diagnose and treat the actual underlying cause of the patient’s symptoms. Wow. The Washington Post agreed that was pretty heady stuff and published an article accepting everything the CDC said as gospel. Federal health officials don’t know the number of people who undergo treatments for chronic Lyme disease or the complications that result from such treatments. But based on information received in the past three years from state and local health departments, and from clinicians who have treated patients who have become very sick as a result of these treatments, “we really have a sense that both the treatment and scope are broadening,” Nelson said. Let’s look at some of the background of how Nelson came to receive this information and how she found her co-authors. Rather than focusing on patient-specific risk factors and prevention of antibiotic-related complications, the authors preach about the dangers of treating Lyme disease outside the controversial guidelines of the Infectious Diseases Society of America (IDSA), which were the subject of an antitrust investigation by the Connecticut Attorney General. In doing so, the authors exaggerate the risks of treating Lyme disease and ignore the risks of failing to treat an ongoing spirochetal infection that may cause disability equivalent to congestive heart failure, and even death. Consequently, the emphasis of the case report is misguided and ultimately detrimental to patient care. In other words, she was on a fishing expedition, trolling for case studies to support her pre-determined conclusions. She offered a reward to anyone who complied with her request—co-authorship of the article she planned to write. This is how CDC employees conduct research into Lyme disease treatment? They solicit input from only one side of a highly contentious medical debate, they dangle the incentive of a prestigious co-authorship to anyone who comes across with the goods, and all the while totally ignore the consequences of failing to treat desperately ill people who face serious disability and perhaps death? Even the CDC admits that people can die from Lyme carditis. So, Lyme patients and their doctors have to balance the risks of doing little or nothing—the choices offered by the IDSA/CDC axis—and undertaking treatments that are not without risks of their own. It’s called risk/benefit analysis—and people do this in medical settings all the time. Treatments for cancer and AIDS also “can lead to injuries related to unnecessary procedures, bacteremia and resulting metastatic infection, [and] venous thromboses,” as Nelson’s article described Lyme. Is the CDC expressing outrage about that? Um, no. It’s been more than three years and the CDC has not seen fit to respond to the complaint. Okay. That’s an accurate assessment of the CDC’s views on the matter. But what about the other side of the story? The article gives no indication that the reporter made any effort to contact ILADS or give any insight regarding the other side of this polarizing medical debate. It appears that the reporter accepted everything that the CDC handed out as if it was received wisdom from on high–no need to question anything or offer a differing point of view. I anticipate there will be much more coverage of that ilk. All this leave Lyme patients in a world of hurt—where too many of them reside already, alas. This latest action by the CDC will continue to make it difficult—perhaps impossible—for people suffering from Lyme disease to get the care they need to get well. It boils down to one simple fact. The federal agency charged with protecting the nation’s health continues to work against the interests of citizens unlucky enough to be nailed by a Lyme-infected tick. Next Post » Who Controls Fake Lyme Disease News? How do we fix this situation? Which researchers can meed with the CDC to help them to understand the complications regarding tick borne illnesses? Susan: The CDC is very well aware, they can’t blame this on ignorance. No one can help them understand what they already understand only too well. Write to the CDC asking pointed questions, and you will see that answers you get are filled with evasion, obfuscation, and outright lies. Ask them why bands 31 and 34 were removed from the test report. The answer you get, if you get one at all, will probably make you laugh out loud. Its clear the CDC know exactly what’s going on, since they are the authors of it. Why do you think Christina Nelson had to go on a fishing expedition to try and discredit the opposition? Surely there is much more important work to do at the CDC besides spending months doing CYA work to try and avoid charges of fraud and manslaughter. Of course, trying to cover it up will only make the charges and punishment that much more severe. Nothing about this is a surprise considering the politics and financing of the medical community in general, and particularly those entities whose members stand to lose substantial money and prestige by doing the best for patients with Lyme disease.I am so glad that ILADS exists and continues to act in ethical ways.It gives one hope that perhaps in the future this will be the standard of behavior across all fields. Were it not for ILADS i would not be treated, and would be very likely to be incapacitated even more,not to mention the increased chances of dying from Lyme. Have you seen Medscape Nurses version statement on chronic Lyme? They state ILADS opinions are based on non scientific research. This is what doctors and nurses are being told instead of the truth. Already had one hysterical mother contact me ( I represent a local support group) Her daughter has been under care of an LLMD but her Pharmacist brother read an article quoting the Washington Post on the dangers of seeing “quack doctors” for Lyme Disease who are causing antibiotic resistance and deaths. He went on about the LLMDs only looking for money, they are quacks because they don’t take insurance etc etc and his niece really needed an antidepressant. Even though I have worked with this mom for 6 months, educating her and giving references the WP article triggered doubt. I sent a link to this article to her and told her to share with her brother. Instructed her to shame him into doing some research on Lyme and TBD before believing every article with only the CDC IDSA point of view. Don’t forget the response letter from the fellow at HuffPost. Long but thorough. And Patrick Plum’s response. My family doctor once called the Lyme doctor a Charleton, trying to make money off us using the quackery to make them feel better. 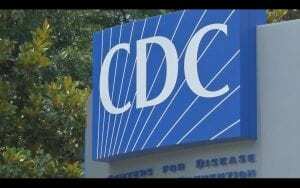 Excellent commentary on the back story regarding CDC’s continued false narrative on Lyme disease. Thank you. I totally agree. Long term antibiotics saved my life. My father in law was given so much chemo by the VA Hospital it killed him. Let’s talk about that not bashing Lyme treatments. I agree as well. Long-term abx AND a comprehensive diagnosis and treatment protocol SAVED MY LIFE. My LLMD helped save my life. My diligence and research into Lyme TRUTHS (thank you LymeDisease.org) saved my life. I would love to join others in creating a nice little article sharing our experiences, telling the truth about LT abx therapy, since NONE of the studies purporting that it’s ineffective treatment studied any relevant protocol actually used to heal people. I could have told them what they studied wouldn’t work… all that wasted funding for studies with predetermined results. But that was the whole point. Thank you Dorothy for your hard work and dedication! Excellent article! I could feel my internal voice & BP rising as I’d finish reading a paragraph, as if it was being read out loud. Thanks for providing the insights needed to fully appreciate the situation. Good job! This just shows how scared the few that have monopolized this disease for decades really are. I don’t think its a coincidence that this “report” was published soon after other gov’t officials were brought up on involuntary manslaughter charges over the Flint MI water supply imbroglio. If they are charging those officials with involuntary manslaughter, the officials responsible for the epidemic of Lyme disease will likely be charged with far worse. So expect more of this kind of thing in the future from the CDC, and write your congressperson to instigate an investigation into the corruption involved with this disease. We have had enough! the study & practice of science has been usurped by what can only be called “The International Science Mafia”. who possess and jealously guard it. There is a reason why the subterfuge runs deep and long – and has MIC origins. —this activity allowable (legal) through the Smith-Mundt Modernization Act of 2012, which was contained within the National Defense Authorization Act for Fiscal Year 2013 (section 1078 (a)) amended the United States Information and Educational Exchange Act of 1948 and the Foreign Relations Authorization Act of 1987, allowing for materials produced by the State Department and the Broadcasting Board of Governors (BBG) to be available within the United States. It’s all very simple. Follow the money. 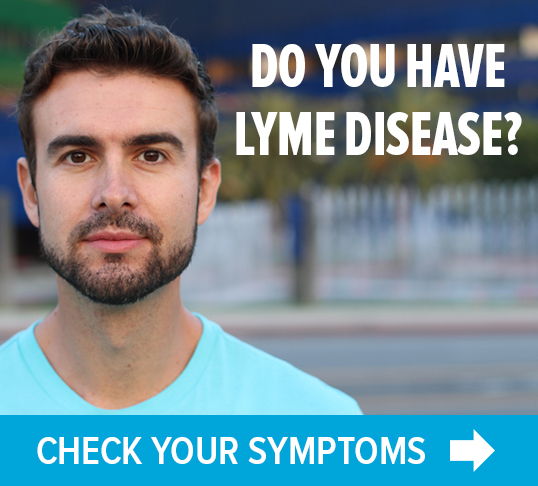 If the CDC acknowledges broader Lyme diagnoses and that treatments for Lyme are available, then insurance companies would have to cover more of both the testing and the treatments. I would love to see the senators and representatives who are Lyme supporters receive a copy of this article. Unfortunately I’m creating for my very ill mother and have only my smart phone, which is smarter than I am. (As in I’m not to good at using it. ) and, I have no other access to internet. I hope it find it’s way to them. We need them to have the visibility. Washington Post, June 7, 2016, published an article on me describing the difficulty doctors have in diagnosing Lyme disease. Just before I was to be put into a dementia ward at a nursing facility one doctor (the only one of many) decided to do a Lyme test. It came back positive on the Western Blot. I was immediately given an intravenous IV antibiotic via PICC called Ceftriaxone for 14 days, Then, after a period of two months working with speech and physical therapists to learn how to talk and walk again my life returned to normal. The diagnosis was Lyme Meningo enciphalitus (inflammation of the brain) and not hydrocephalus and fast progressing dementia as originally thought. The Washington Post did an excellent job of reporting the details and interviewing the doctor who made the correct diagnosis. What would be helpful in this situation is to get the help of some well-respected medical professionals to discuss the topic in depth. Yes, we are floundering in our efforts to treat a chronic condition. Yes, we need help understanding the cause of our symptoms. I agree that this report from the CDC is not especially helpful, especially in the context of their lack of attention to Lyme, ME/CFS and related chronic ailments. But let’s not ascribe to malice that which can be explained by ignorance. Hopefully, the CDC will be part of the solution and we want all the help we can get. Hi I am in Australia and have been using what the CDC says as gospel truth, the science body that is unrefutable. We are having problems here with our own breeds of borrelia. The infection that I am possible carrying is from the egg laying mammal a monotreme called the echidna. It is similar in DNA to relapsing fever ones in north america. Will be named borrelia tachyglossis after the echidna. Dorothy, thank you for all the background, the links, and telling us all more about the latest hits from everyone under the sun; idea siidsa, wash, post, and the list goes on and on. I have not had time to follow all this since I just moved from my home at 42 years and trying to get settled again. Thanks for the real truth about Lyme. The constant battle for individual treatment is hindered by the CDC, IDSA and general medical professionals because the 2 sides of a coin are never told. The only winners are the pharmas who are making billions on the agony, defeat and deaths of Lyme victims who go under-treated in the constant battle against Lyme disease. I continue my individual battle for survival and pray for a better treatment plan. Reaching out for the truth at lymedisease.org is a lifeline for many giving us hope and helping us to remember that you are Never alone in the fight against Lyme! I was told I had early stage Lyme disease early April, was able to tolerate (barely) taking 10,500mg of antibiotics although I was prescribed 30,500mg. 3 months later I do have periodic bouts of severe fatigue but sometimes a good night’s sleep seems to bring me back to “normal” and I don’t have to lay down for a 2.5 hour nap. What is your diagnosis and how are you constantly battling for survival? I live in California. Have an appointment with my dermatologist next month to check the tiny bite mark area that never seems to completely heal and go away…..your thoughts welcome. Are you taking meds on a continual basis? Once again they misd the mark snf dlsnt the research. Almost twenty years into this diease and still no real help. Awesome article. Well written. Thank you for fighting for us. Same old same old!!!! My wife and I fought the CDC from the late 80’s to ’94 when I got symptom free from CFIDS using Oxygen Therapy. We were leading advocates in a long battle that resulted in it being recognized as a disease in the Relocation Act of ’93 that Bill Clinton signed! But nothing changed! As you probably know our medicne was changed to Drug Medicine from Homeopathic and Naturopathc Medicine by Carnegie and Rockerfeller startng in 1847. By the turn of the Century only 5% of the orignal Med Schools were stll teachng their old curriculums. 20 yrs ago the Drug Co’s were spendng $10,000 a year per pupil in Med Schools to nfluence their educations. That’s what we’re up against!!! They (Allopathic Physicians) will fight to the bitter end to protect their carreers, which are based on Drugs and expensive machines…..like the X-Ray Machine! You will never ever change their mines. I tried for nearly 10 years when I was sick with cytomegalovirus….a man made virus…..like The present Bb Bacterium! Bang away at our Health Agencies and Your Congressmen. But do it to relieve frustration and anger and depression. And don’t ever expect anything to be done about it from Their standpoint. They are involved in Massive Coverups going back to WW11! I speak from experience believe me!!! The CDC is a joke. They told my husband there was no Lyme in Tennessee back in 2010. We have recently read on their site there was six cases in Tennessee that year. So it shouldn’t be too hard to find out if mine was one of them and was reported by county health dept. Mine wasn’t reported by my doctor to health department by my doctor because I checked and that’s when I called the main man over the state of Tennessee Health Department and he told me there was no way I got Lyme from a Lone Star tick , after he asked me what the tick looked like. I said then why am I laying back here in my bedroom with a pic line running to my heart taking a chemo type treatment with no Home Health Care because I was denied it by insurance? He had my husband fax my blood work to him and called back saying, Mrs. Greer you have the worst case of Lyme I’ve ever seen in the state of Tennessee and good luck to you . If I find out that my case is NOT one of the six reported in the state of Tennessee in 2010 after that, someone is going to give me an answer why ‼️ I have had it up to the top of my head with the CDC and doctors ignoring and leaving people to suffer with this disease ‼️ I WANT ANSWERS ‼️I want my life back, I want to live . This disease has taken all our savings. We have spent over $86,000 out of pocket and have two different health insurances. I have not had any treatment in since because we have exhausted our savings. My memory is getting so bad , I can’t remember people’s names, I can’t remember at times what I was going to make a note of so I didn’t forget, my heart feels like I’m going to have a heart attack at times, I am loosing my eyesight from it and it has left leasions on my brain that no one bothers to check to see if they are getting worse. I’ve lost friends because I’ve been sick to long because they don’t understand this disease and what it does. My church family has bailed on me because I’ve been sick to long and don’t understand. This disease is a rich mans disease . Everyone guessing what to do next. I am in stage four and there isn’t a next stage. No more money and no help. I feel like I’m just here waiting to die, taking up air. I would LOVE to talk to the CDC face to face and ask them why I can’t have my life back, so would my family. I’d like to see my grandchildren and be able to play with them. I’ve lost a child, I want to know what parents are supposed to do to save their child that don’t have the money for treatment. No one ever sent me or suggested for me to even see Infectious Disease Doctor in the beginning. We had to find a LLMD on our own. Never knew there was such a thing until I got this disease. I have talked to State Reps , even Mike Huckabee face to face and he put two reporters on it and he said they kept running into brick walls , them Obama started with his health care deal, and it was forgotten about and we never heard from him again. I have a HUGE problem with CDC and ALL the family doctors around here not knowing what Lyme can do and the co-infections‼️ I can’t even find a family doctor around here because no one will take me when I tell them I have Lyme disease. You tell me … what’s wrong with that ??? I have journaled everything and every name and date since 2010. I want to talk to someone in charge, face to face and ask why and why they aren’t doing anything about this stuff and why regular doctors won’t take you as a patient and why they don’t know enough about it to at least send you to Infectious Disease around here. I’ve thrown up for years not being able to eat. It’s nothing to them. Like I said, I feel like I’m just waiting to die. I have suffered tremendous pain for 12+ Years seeing more doctors who look at me like I’m a hypochondriac or a physiological addictive weirdo looking for drugs to get high when I have experienced euphoria twice in my 58 years of life. I have tried the natural so called cures and 1 year of low dose doxicycline and unfortunately like many others i didn’t get diagnosed until stage 3. A few years ago after such suffering and crying out to God I prayed with a pastors wife and the very next mourning I received my diagnosis and a substantial increase in my pain medications and the doxicycline, Life was finally looking livable until low and lowest hit hard when congress the senate passed the the controlled substance act and added others to the list for some reasons I agree with but not against the disabled. The Washington post along with the CDC is the fox guarding the hen house and people out here in CA. are dying needlessly due to the pressure of pain and stress on their hearts according to one of my Physical therapist. Women of course get the worse treatment of all and Men usually put things off anyway so I imagine it is going on in every state of the union. I just need stronger meds to get out of bed and get basic chores done and I could be doing so much more having the quality of life Christ had given me before money hungry control in business and politics stooped so low as not to work together for the most vulnerable in society. My Doctor has been requesting a MRI of my back and brain for 6 or seven years and I always get denied on medical, don’t qualify for anything but $700.00 month to live off of. I would rather have the bandage than the pain. And a longer life!